With this test, India has become the fourth nation in the world with ASAT capabilities, after the US, Russia and China. In a live address to the nation, Prime Minister Narendra Modi announced that India had successfully tested an anti-satellite (ASAT) missile against a live satellite in low-Earth orbit. Though he didn’t explicitly mention a date, he implied in his 15-minute announcement that the test was conducted today, March 27. Modi also lauded the Indian Space Research Organisation (ISRO) for developing various space-related technologies that benefit society. He added that given India had already established itself as a space power, a demonstration of its military prowess in space was necessary for regional peace. These words about peace allude to China’s ASAT test in 2007. In that test, a multistage missile successfully intercepted and destroyed a Chinese weather satellite in a polar orbit, at an altitude of 865 km. The Indian ASAT test is believed to have destroyed either the Microsat-R or the Microsat-TD satellite, likelier the former according to some sources. They were both built by the Defence Research and Development Organisation (DRDO). ISRO launched the Microsat-R on January 24 this year and the Microsat-TD a year before that. Prime Minister Modi declared the test, codenamed Mission Shakti, a success and claimed that an ASAT missile had destroyed the satellite in its low-Earth orbit. The missile in question is described as a kinetic kill vehicle, which means it does not carry any explosives or other devices. Instead, its ‘kill’ capability arises simply from the fact that it smashes into the target satellite and shatters it using its kinetic energy. At this altitude, about 300 km, experts said that debris from the collision would fall back to Earth, burning up in the atmosphere in a matter of weeks instead of posing a threat to other satellites. As a result, Mission Shakti is called a controlled ASAT test. In contrast, the Chinese test in 2007 provoked international ire because it destroyed a satellite at a little over 800 km, producing over 14,000 pieces of debris that endangered hundreds of other satellites in its vicinity. The act violated the principles of the Outer Space Treaty. With this test, India has become the fourth nation in the world with ASAT capabilities, after the US, Russia and China. The US conducted its first such test in 1985 and Russia, in 2015. The Microsat-R weighs 740 kg and is in a 268 km by 289 km orbit. The Microsat-TDweighs 130 kg and is in a 327 km by 368 km orbit. Both of them are classified as Earth-observation satellites. The lower mass of the TD variant renders it an unfavourable target. 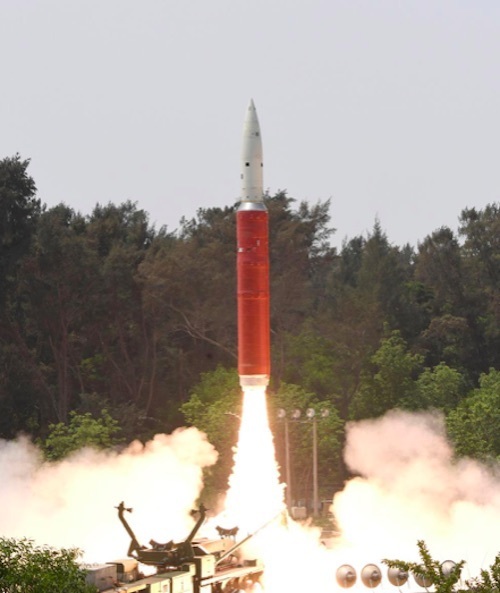 India’s ASAT programme, publicly acknowledged in 2012 when an Agni V missile’s parabolic trajectory took it up to 600 km in space, is subsumed under its Ballistic Missile Defence (BMD) programme, responsible for intercepting and destroying ballistic objects before they threaten Indian territories or assets. The BMD has two broadly defined target tiers, called endo-atmospheric and exo-atmospheric. Mission Shakti falls in the exo-atmospheric category. While more details are awaited from the DRDO, it is possible that the organisation used a modified version of the Agni V missile for the task. In 2012, shortly after testing the Agni V, DRDO’s then chief V.K. Saraswat had said that the missile could be modified for use as an ASAT weapon. However, LiveFist, a defence publication, reported that the vehicle was “an extended range derivative of the Prithvi Defence Vehicle”, and that it had been launched from “the Integrated Test Range in Odisha”. In its 2007 test, China used a DF-21 ballistic missile equipped with an infrared seeker. According to defence experts, the DRDO has had ASAT capabilities for almost a decade, developed under its BMD programme. Saraswat has acknowledged before that the DRDO was ready to perform a test in 2012, and then in 2014, if the Centre gave its go ahead. That it was finally conducted now, weeks ahead of the Lok Sabha elections, suggests Modi’s green-light was more political than strategic. Depending on the situation, the BMD has two kinds of major targets: foreign missiles and satellites. One observer noted that India had successfully tested its anti-missile capabilities first and then proceeded to work on ASAT capabilities, contrary to China, which completed its ASAT tests first before proceeding to the anti-missile systems. Even though both vehicles showcase extreme abilities to cause damage, intercontinental ballistic missiles (ICBMs) and ASAT missiles don’t work the same way. One engineer told The Wire that the BDM is more comparable to an ASAT system. For example, intercepting an ICBM requires three kinds of radar: one each to detect, intercept and fire the rebutting weapon. An incoming ICBM also follows an inherently unpredictable trajectory that requires response systems with very low reaction times. On the other hand, a satellite in low-Earth orbit follows a predictable trajectory. But that said, satellites at that altitude move at about eight times the speed of sound in the atmosphere, outpacing ICBMs by up to 1 km/s. Third, because of their speed and altitude, the object being sent to strike them needs to be very precisely guided. Even an error so small that an ICBM is not affected by it could throw an ASAT missile off course, potentially towards a different satellite. Modi also noted in his speech that through Mission Shakti, India had not violated any international law. The most overarching agreement in this context is the Outer Space Treaty, and while it stresses on the peaceful use of outer space, it doesn’t ban exo-atmospheric ASAT missiles either. ASAT weapons have yet to be used in war. In fact, all countries that have tested them have claimed thus far that they were developing ASAT technology to protect against dysfunctional satellites in uncontrollable descent. However, it is difficult to see an ASAT missile as an entirely peaceful machine because of the tremendous consequences of its use as well as the sophistication of the underlying technology. For example, the Agni V missile that India tested in 2012 can also be used to quickly launch micro-satellites into low-Earth orbits for wartime reconnaissance. In this situation, keeping ASAT systems ready can allow India to knock enemy microsats down as a countermeasure. If at all such a threat looms on India’s horizon, it is likely to be from China. One expert said that ASAT missiles are one of the most difficult to develop. They often succeed the development of other technologies, such as satellite launch vehicles, so Pakistan is unlikely to have ASAT capabilities. Once the launch was detected, U.S. Space Command right away started notifying satellite operators. WASHINGTON — The U.S. military’s early warning and surveillance network on Wednesday at 1:39AM EST detected India’s missile launch aimed at one of its own satellites in low Earth orbit. “We were aware,” said Lt. Gen. David D. Thompson, vice commander of Air Force Space Command. 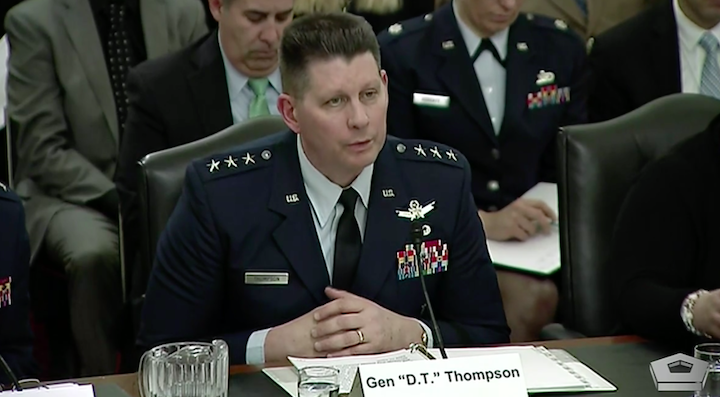 Once the launch was detected, “we immediately started providing notification to satellite operators,” Thompson said on Wednesday during a hearing of the Senate Armed Services Committee’s subcommittee on strategic forces. The anti-satellite weapon test carried out by India’s Defense Research and Development Organization was code named “Mission Shakti.” A missile launched from the ground slammed into a satellite at an altitude of about 300 kilometers. The issue was raised at the hearing by the subcommittee’s ranking member Sen. Martin Heinrich (D-N.M.) who asked Thompson about the risk that such tests might pose to U.S. and allied satellites. Thompson said the 11th Space Warning Squadron at Buckley Air Force Base, Colorado, detected the launch. The National Space Defense Center at Schriever Air Force Base, Colorado; and the 18th Space Control Squadron at Vandenberg Air Force Base, California, also supported the effort. “No other nation or other military, or civil agency could have detected, characterized and warned” about a threat in space, he said. In response to Heinrich’s question on whether DoD supported a “code of conduct” for space activities, Kenneth Rapuano, assistant secretary of defense for homeland defense and global security, said the Pentagon is “involved in discussions internationally” about the use of anti-satellite weapons but noted that space security is an effort led by the State Department. The Combined Space Operations Center at Vandenberg, which is part of U.S. Strategic Command, maintains a space catalog that tracks debris and other objects. The center operates the Space Surveillance Network, a worldwide system of ground-based radars along with ground-based and orbital telescopes. The dangers of space debris also came up on Wednesday at a hearing of the House Appropriations Committee’s commerce justice and science subcommittee. 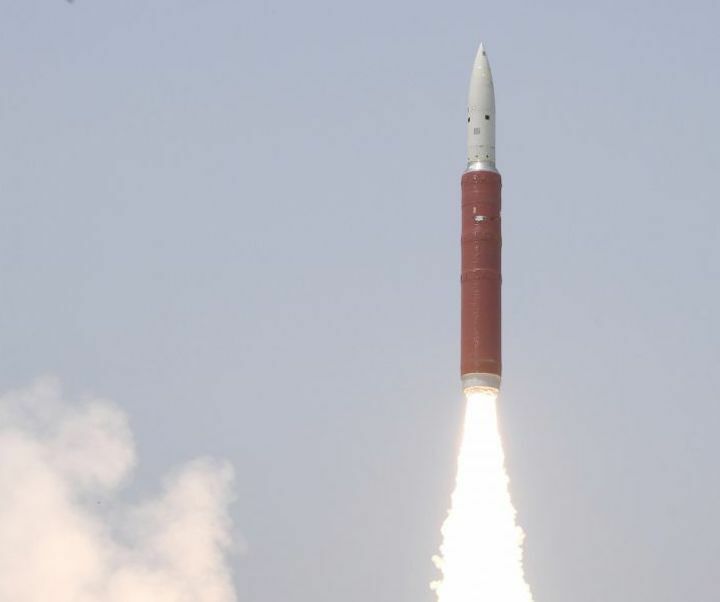 SAN FRANCISCO – In the wake of the March 27 Indian anti-satellite test, Brian Weeden of the Secure World Foundation suggested companies consider boycotting India’s Polar Satellite Launch Vehicle (PSLV). Secondary payloads launching on PSLV generate significant income for Indian space programs. 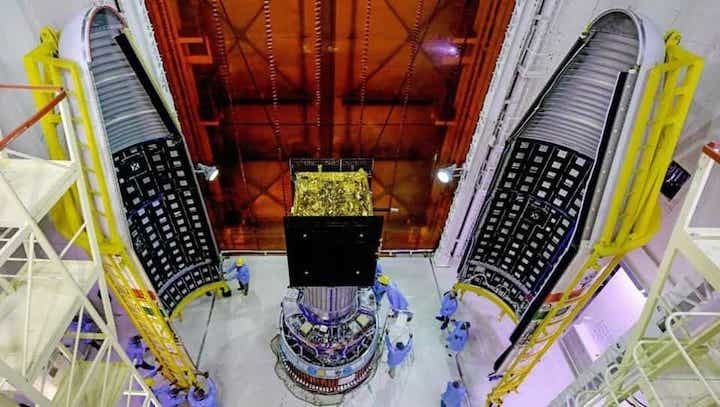 If India creates debris in low Earth orbit through anti-satellite testing that could harm the business models of PSLV’s launch customers, Weeden tweeted. Many space industry startups also emphasize social responsibility in public statements and interviews. “I wonder if any commercial space companies are willing to take a stand on this and boycott the PSLV to send a message to India? Corporate social responsibility anyone?” Weeden, Secure World Foundation technical advisor, tweeted March 27. Small satellite companies declined to comment on the likelihood of a boycott of the India Space Research Organization’s PSLV. Planet sent 88 cubesats into orbit on a PSLV in February 2017 and launched 16 more on a November 2018 PSLV flight. Terrestrial companies are taking stands on ethical and moral issues. Their positions influence where they operate and what countries they work with, Weeden said. “I wonder if we might start to see that happen in the space world as well,” he added. Laura Grego of the Union of Concerned Scientists also expressed concern about the spread of anti-satellite weapons and their increasing sophistication. “That increases the risks of a crisis getting sparked or escalated because someone uses or threatens to destroy someone else’s critical national security satellite,” Grego, a senior scientist in the Union of Concerned Scientists Global Security Program, said by email. Destroying a satellite with a ground-based missile as India, the United States and China have all done, “creates enormous amounts of space debris when used,” Grego said. India destroyed a satellite at an altitude of 300 kilometers, meaning the cloud of debris created will not be in orbit long. Using a similar weapon to target “a satellite in a more common orbit would create debris that lasts decades,” she said. Multinational organizations including the Conference on Disarmament and the United Nations Group of Governmental Experts have failed to reach agreement on arms control treaties or voluntary codes of conduct for space activities, Union of Concerned Scientists said in a March 27 news release. “The international effort to ensure space remains a peaceful and secure environment is not keeping up with the spread of these technologies, and India’s test makes it harder to see progress on that. In fact, it’s possible that India’s test encourages others to test, too,” Grego said. India launched an anti-satellite mission test called Mission Shakti March 27, intercepting a satellite in low Earth orbit. Just weeks before election season starts in India, Prime Minister Narendra Modi announced the nation completed a successful test-fire of its first anti-satellite launch missile, dubbed "Mission Shakti," on Wednesday (March 27). The event sparked a global conversation about space policy, politics and the militarization of space in the hours that followed, as well as speculation about whether that type of test could create dangerous space debris. This achievement by India's Defence Research and Development Organisation (DDRO) and the Indian Space Research Organisation (ISRO) makes it only the fourth country to ever launch an anti-satellite (ASAT) weapon. "The test was done in the lower atmosphere to ensure that there is no space debris," officials from India's Ministry of External Affairs said in a statement. "Whatever debris that is generated will decay and fall back onto the earth within weeks." The contents of Modi's address to the nation were unexpected. There was intense speculation about what his message might be about after Modi tweeted an advisory of the announcement, which was scheduled for about noon local time. An anti-satellite weapon is anything that destroys or physically damages a satellite. According to SpaceNews, the only other countries that have fired an ASAT are the United States, Russia and China. Most outlets confirmed the satellite target was an Indian spacecraft in low Earth orbit called Microsat-R, according to astrophysicist Jonathan McDowell at the Harvard Smithsonian Center for Astrophysics. The satellite target was at an altitude of about 168 miles (270 kilometers), McDowell told Space.com, and was passing northbound over the Bay of Bengal when the ASAT intercepted it. The launch missile "doesn't carry any explosive, but just puts itself in the path of the satellite," McDowell said. "The satellite is traveling at 18,000 mph (29,000 km/h) … the kinetic energy of that impact is much more than any high explosive you could carry, so no point in putting a bomb on it." The impact "would have sent a hypersonic shock wave through the Microsat-R satellite and reduced it to shrapnel," McDowell said. And after a few weeks it ought to burn up in Earth's atmosphere. "What we are expecting is that U.S. space tracking will catalog a bunch of new debris objects; that has not happened yet… before you can actually catalog the debris, it may take several days to actually sort out and see how many individual objects you have, and not double count things," he said. Unlike China's ASAT launch in 2007, which struck their Fengyun-1C weather satellite resulting in severe fragmentation and long-lived debris, McDowell believes the orbital zone of Microsat-R means most of the shrapnel here will likely burn up in Earth's atmosphere over the next three weeks. But some may stay up for about a year. Microsat-R was at a lower altitude than Fengyun. It was at about the same altitude as the satellite USA 193, which was the target of a U.S. anti-satellite test called Operation Burnt Frost in February 2008, according to Space News. USA 193 was about 155 miles (250 km) high at the time of impact. Unlike Mission Shakti, the U.S. government announced Burnt Frost in advance. ISRO is the space agency of the government of India, and has its headquarters in the city of Bengaluru. DRDO carries out military research and development for the Indian government, and is based in New Delhi.